IF YOU WERE IN THE SHOP ON PI DAY, YOU CAN ATTEST TO THIS; SHE MADE THE MOST BEAUTIFUL APPLE, CARAMEL, AND PECAN PIE. 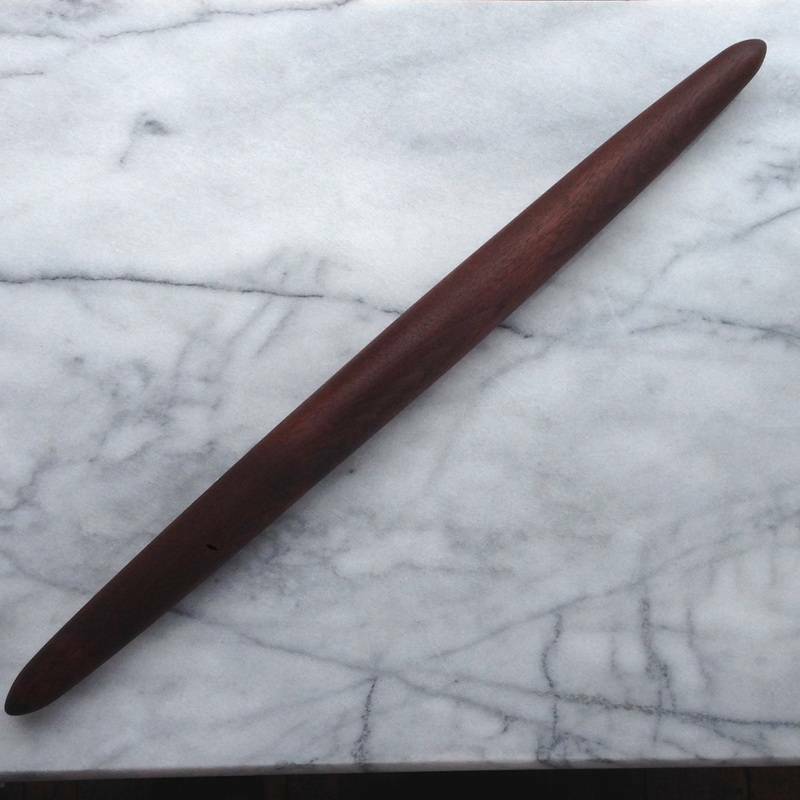 SHE SWEARS BY THESE HANDMADE FRENCH ROLLING PINS BY JOEL DUNCANSON, A WOODWORKER BASED IN MINERAL POINT, WISCONSIN. THEY COME IN WALNUT, CHERRY, AND OAK, AND ARE ESSENTIAL FOR ANY BAKER, COOK, OR CONFECTIONER'S KITCHEN.